AutomatedBuildings.com Article - Will DevOps Culture Come to Smart Buildings? If software is eating the world, then software development operations should be of consuming interest to everyone—particularly to stakeholders in Smart Buildings and other Smart Systems. We should have already learned the lesson that you need to start product development from the perspective of end-users—building owners, facilities staff, and occupants. The last generation of building automation technology offered enough instances of unplugged BMS systems sitting in corners to be wary of the possibility of not-my-piece-of-cake reactions to new technology. How can the industry do better going forward? Or as Brad White of SES Consulting asked in March “How do you spec a good user experience?.” Brad and fellow SES member Christopher have followed up this month with "Cope with the IOT Revolution by Staying Agile" which explains their thoughts on an implementation of DevOps. Smart Building product developers could get in sync with enterprise software innovators and embrace the concept and culture of DevOps. Modern DevOps methodology emerged in response to the rise of open-source software, mobile computing and cloud architectures. Tasks like version control, configuration management and compliance testing have become more complex, while pressure to release software products more rapidly, frequently, and reliably is increasing. The one new point of leverage is that collaboration tools are a whole lot better. So, DevOps culture was born out of the idea that software engineers and their IT operations colleagues can manage the greater complexity and shortened schedules by working together more seamlessly. One expert on the topic, Coté, describes DevOps as “the term people use when they mean ‘doing all that new stuff, in new ways.’” That’s helpful? The DevOps Wikipedia page describes it as connecting software engineers and IT staff in a tight DevOps cycle or toolchain. DevOps, User Experience Design (UX Design), Customer Success Management—is all this actually new? 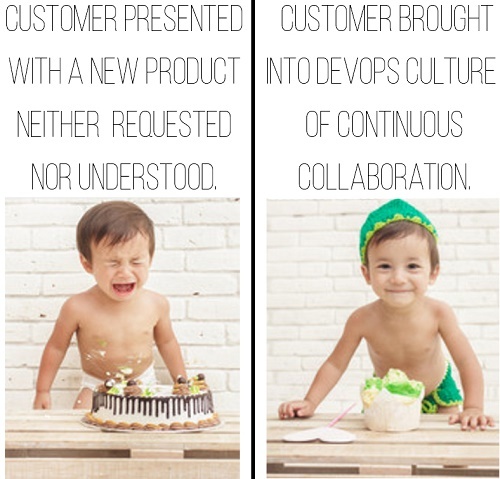 Or is DevOps culture just a bunch of new names for classic software development and marketing principals and roles? TBD. But, it’s worth considering the fit for our industry. “See how analytics brings value to building owners and operators, after all, they are our customers. The scope of value-creating features of analytics for owners is growing: energy management, FDD (Fault Detection and Diagnostics) and continuous commissioning were a few early areas enabled by analytics. More recently, we are crossing into corporate functions such as compliance, forensics, vendor and asset lifecycle management. Of course, Cimetrics is a 3rd-party analytics software developer; so, it is innovating software development practices all the time. Also, the DevOps concept of a continuous cycle of planning and doing is coded into its DNA too. Is a DevOps toolchain so different from a monitoring-based commissioning (MBCx) cycle with analytics software like Cimetrics Analytika at the core? Deploying 3rd-party analytics to the satisfaction of owner and occupant end-users takes customization of the interface for the unique building or campus under management, and sometimes it means developing a custom app. So, some of the most forward-thinking players in each category are recognizing that they need to evolve and funnel their controls expertise into a software engineering role. Training in the DevOps methodology and toolchain could help them bring structure to this new role. Again, ‘DevOps culture’ is in many ways just a trendy way to describe practices and tools that are already familiar to Smart Building/Smart System professionals under different names. For instance, computerized maintenance management systems (CMMSs) have been around a while, supporting the same types of activities listed in the DevOps tool chain. A CMMS helps users track who did what to which piece of equipment when, etc. BASSG’s Sparko software package, for example, is a CMMS that works with SkyFoundry’s SkySpark analytics system. Sparko will map specific SkySpark rules to operations & maintenance personnel or departments inside a company or to external team members like an automation contractor or MEP engineer. 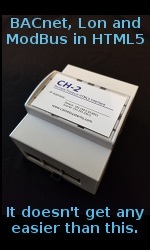 Basically, it gives users the flexibility to get corrective action in motion sooner. Tying analytics to action in this way fits neatly into the DevOps playbook. This year's Control Trends Awards included the category '3rd Party Visualization Vendor of the Year' which was won in a tie by BASSG and DG Logik. These companies are providing HTML 5 platforms for the development of custom user interfaces for smart system software. Good design principles are baked into their templates, component libraries and menus. Every small firm creating an energy or comfort performance optimization app for their building-owner customers might not have a User Experience (UX) designer on the team, but with these 3rd-party visualization platforms, you are empowered to make information as easy and compelling to interpret as possible. I have spent my career in enterprise software marketing and, for me, what is new about DevOps culture, is the idea of letting go of strict product release schedules. Back in the day of print and paper, we timed the release of various customer and market communications with the phases of product development. White papers and trade press articles that described the upcoming market need were released when development was just getting underway; product description brochures and software manuals had to be ready in time for beta release; advertisements and website copy were needed as part of the general availability launch, etc. Today, not only is software being developed and released on a continual basis, communications with the end customer are on-demand too. Digital publishing, social media and search tools have evolved to help marketers cope with the new realities. Webinars and podcasts are part of the new mix too. And soon there will be chatbots and other AI-enhanced aids to help reach customers with messages when they are ready to hear them. As with DevOps, the tools to communicate about a new product introduction get better, but the noise, distractions, and pressures increase too. I think we are left with the same problem: how to make the customer a partner in the cake baking, so that everyone has a sense of anticipation up to the moment it arrives and a sense of satisfaction when they try it.